What do you like best about Lofts at Perimeter Center? It’s quite. Hallways are always clean. Convenient location to Walmart, Publix, Target, Marshalls etc. Sideways around the neighborhood for walking. The apartments are still farily new and haven't had the wear and tear that many of the older complexes do. Everything here is made very convenient for busy people, i.e. on site laundry service, valet trash, valet dry cleaning, package lockers, free breakfast M-F, etc. The service from the front office is excellent. 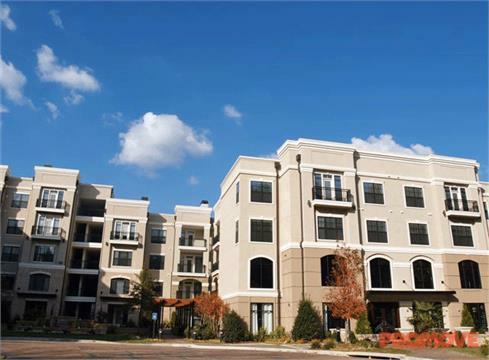 It's convenient to work and much of the shopping in Dunwoody. It feels beautiful and has a great location. It fits my personal style and needs. Reggie Miller in the leasing office is AMAZING. He is so professional and goes above and beyond to take care of your needs. I was impressed that Reggie and the rest of the Lofts staff knows all of there tenants by name. That show that they care about their residents and take the time to get to know you. Location is very safe, well-kept, convenient to everything.